After her family was taken to a concentration camp, Margot Friedänder lived as a fugitive. Today, her compelling story is an award-winning book and documentary film. In January 1943, 21-year-old Margot Bendheim was about to flee Berlin with her mother and teenage brother when her brother was arrested. Her mother left a message with neighbors for Margot saying that she would go wherever they took her son. “Try to make something of your life,” she wrote. A few days later, Margot’s mother and brother were sent to Auschwitz, like her father before them, never to return. For the next 15 months, Margot moved around in hiding, aided by 16 different people. She was eventually arrested and ended up at Theresienstadt, where she arrived in June 1944. There, she met and ultimately married Adolf Friedländer, whom she had once known in Berlin as the manager and director of the Jewish Cultural Federation (Jüdischer Kulturbund) where she had worked. The camp was liberated by the Russians on May 8, 1945, and a year later the Friedländers immigrated to New York, where Adolf became an associate executive director at 92nd Street Y and Margot worked as a travel agent and dressmaker. It was only in 2003, after living in the United States for more than 50 years, that Margot Friedländer finally decided to tell her story. A German filmmaker, Thomas Halaczinsky, heard she was writing a memoir and wanted to make a documentary about her life. “So I came to Berlin, for the first time in 57 years, and then everything happened,” Friedländer says. Halaczinsky’s film, Don’t Call It Heimweh (heimweh means homesickness), premiered at the 2004 Woodstock Film Festival in New York. The following year, Friedländer began writing her book, Try to Make Your Life: As a Jew Hiding in Berlin (Versuche, dein Leben zu machen: als Jüdin versteckt in Berlin), which was published to great acclaim in 2008. Friedländer was immediately invited back to Germany where she began to share her story at schools, organizations, and institutes across the country. In 2009, the book was awarded the Einhard Prize for best autobiography and has since become a bestseller. In 2010, Friedländer moved back to Berlin permanently, where she continues telling her extraordinary story to thousands nationwide and across Europe. At 96 years old, she still gives a weekly reading, regularly drawing crowds of 40 to 50 people. Her descriptions of her experience during the war have become part of an audio guide, enabling listeners to take an interactive city tour of Berlin following her through the places where she hid. She has continued to receive greater personal recognition, as well. In 2011, Friedländer was awarded the Federal Cross of Merit, and in 2016 she received the Order of Merit of Berlin, the highest award given by the state. 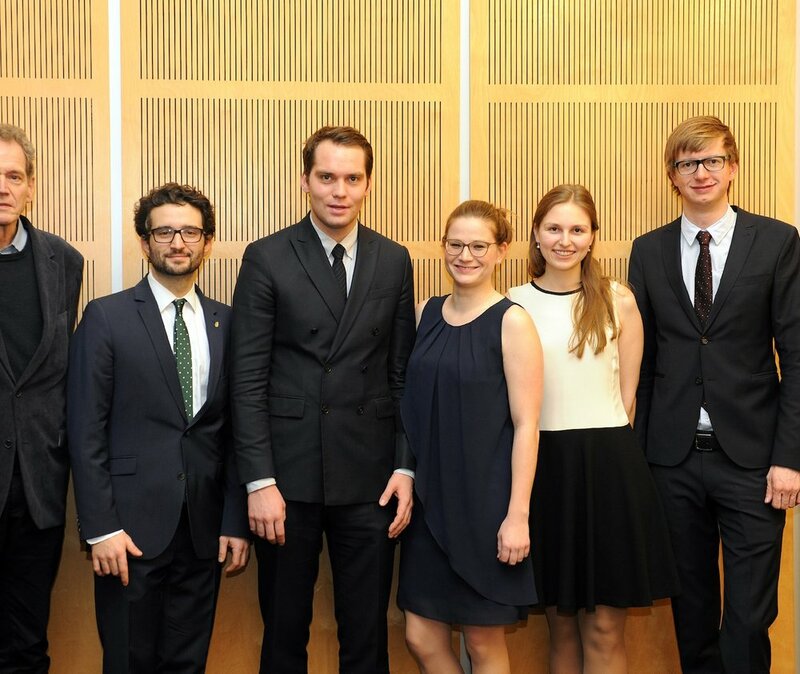 In 2014, the Schwarzkopf Foundation gave the first Margot Friedländer Prize, to encourage students and teachers to investigate the Holocaust and Germany’s culture of remembrance while fighting anti-Semitism and right-wing extremism. And each year on Kristallnacht, Friedländer still gives the commemoration speech at the Grunewald train station where the first transport of Jews left Berlin on October 18, 1941, heading to the death camps. But these honors are not what drive her.